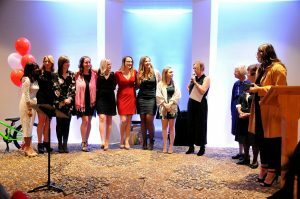 Accurate Appraisal Team at the Stars and Stilettos Event – Accurate (Peel) Appraisals Inc.
We just wanted to take the time to share some exciting details of our successful night out in the community at Stars n’ Stilettos! 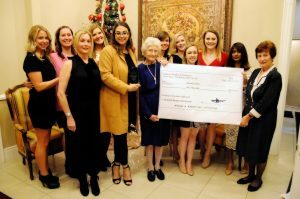 An annual Christmas Holiday Event geared towards business women in Caledon and the surrounding area to gather and celebrate the upcoming holiday season. A night of dining, shopping, entertainment and academics – certainly a fun night for all! Accurate (Peel) Appraisals Inc. was proud and honoured to present a scholarship to Marina Cuffaro from York University in honour of the Heidolph-Bremner Scholarship to help Marina continue her academic success. With each year, we hope to grow the number of scholarships given out during this special event. To say the least, we are certainly looking forward to next year! Christmas Comes Early in Inglewood! 50 BREAK & ENTRIES in West Caledon within 6 Months!